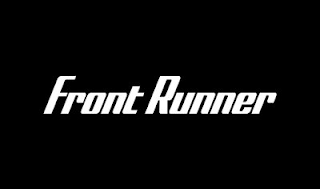 UPDATED | New sports channel Front Runner TV, from the people behind Information TV, has been added to Freeview channel 91. Like other channels operated by Information TV, Front Runner TV schedules airtime to various broadcasters, in this case for predominately sports-related TV programmes. The satellite version of this channel became the home of Greyhound racing earlier this year, when it first launched as an evening/overnight only service. But we've learned that that the channel carried on Freeview will carry different content for terrestrial TV viewers and will vary to the Front Runner, schedule shown on the Information TV website. Available to viewers using a DVB-T2 compatible device, Front Runner TV can be tuned in on channel 91 if viewers can already receive the QVC HD channels on 111/112 and The Craft Channel on 88. Coverage equates to just over of 70% of the UK.